Home > About York Catholic > Why Catholic School? Catholic schools adhere to all Ministry of Education requirements, and the curriculum is enhanced by Gospel Values and Catholic Virtues, which are embedded in all learning. York Catholic District School Board is one of the top-performing school boards in Ontario. The key to the success of our Catholic schools is the school-home-parish relationship. Students develop spiritually, intellectually, physically and socially. 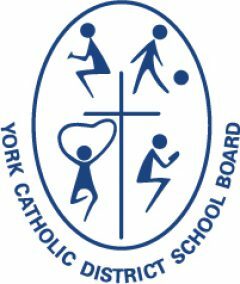 York Catholic District School Board is guided by 7 core values which include: Catholicity, Excellence, Equity, Fiscal Responsibility, Inclusion, Integrity, and Respect. These Core Values reflect our commitment to inspiring all students to reach their full God-given potential. At York Catholic, we hold high expectations for students. We offer a wide range of athletics, co-curricular activities and opportunities to volunteer in the school and community.